OPI is revisiting the ‘80s and ‘90s, with pop colors that we’ve given a modern twist, taking inspiration from the famous Harajuku neighborhood. Tokyo brings so much life to this collection, from its eclectic fashion, vibrant nightlife and world-renowned cuisine to the rich traditions including matcha tea ceremonies and zen gardens. 1. 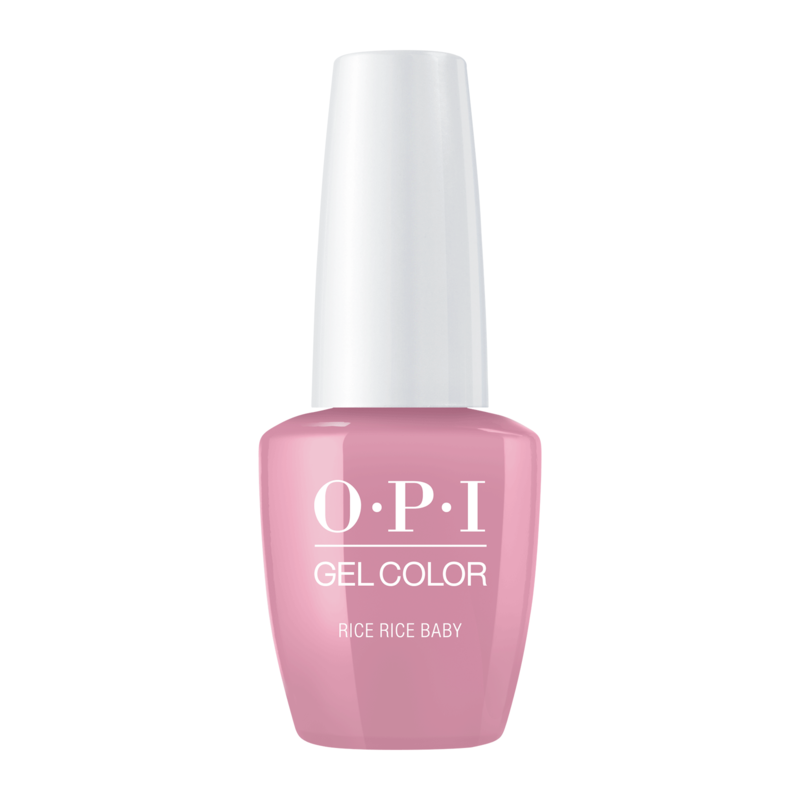 Shake OPI GelColor Base Coat vigorously for 1 minute to thoroughly mix. Wipe excess Base Coat from the stem and brush when removing from the bottle. 2. Apply a thin coat down the center of the nail and then to each side leaving a tiny free margin around the cuticle. Cap the free the edge to prevent shrinkage. 3. Cure for 30 seconds in the OPI LED Light. 4. Shake GelColor vigorously for 1 minute to thoroughly mix. Wipe excess color from the stem and brush when removing from the bottle. 5. Apply a very thin coat to the nail leaving a tiny free margin around the cuticle (coverage may look sheer). Cap the free edge to prevent shrinkage. 6. Cure 30 seconds in the LED Light. 7. Apply a second coat of GelColor to the nail following the same process. The second coat will provide true color and full coverage. 8. Cure 30 seconds in the LED Light. 9.0 Shake GelColor Top Coat vigorously for 1 minute to thoroughly mix. Wipe ex- cess Top Coat from the stem and brush when removing from the bottle. 10. Apply a very thin coat to the nail leaving a tiny free margin around the cuticle. Cap the free edges to seal in color. 11. Cure 30 seconds in the LED Light. 12. Remove gel residue with Expert Touch Nail Wipe saturated with N.A.S. 99. 13. Apply a drop of Avoplex Nail and Cuticle Replenishing Oil and massage into cuticles.